Afternoon tea and after dinner coffee are wholesome activities, more synonymous with Lady Fingers and finger sandwiches than the cannibalisation of actual fingers. However this wasn’t always the case, as the tradition of funeral biscuits shows. Death, in fact, seems to be perfectly partnered with a cup of tea and a slice of cake; a concept which has now given rise to Death Cafe gatherings. 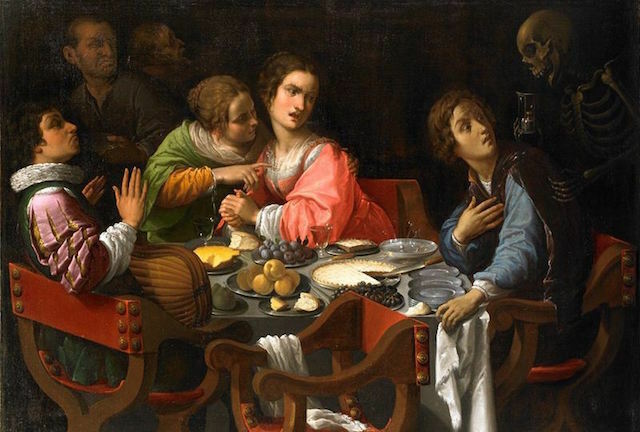 People visit a Death Cafe to eat, drink, and chat about death. Far from being morbid, they are a chance for people to discuss death, practically and philosophically. They aren’t, however, counselling sessions, and therefore may not be the right environment for the recently bereaved. The ‘Death Cafe’ is a name for a specific model of interaction with mortality, started in the UK by Jon Underwood from Hackney. He was inspired by the Cafe Mortels started by Swiss philosopher Bernard Crettaz in 2004. Underwood has created a social franchise, encouraging others to hold their own Death Cafe events to discuss mortality, funeral arrangements and more. It's really caught on — currently there is a waiting list to attend the popular one run by Josefine Speyer in Hampstead’s Café Rouge, and it's gaining popularity all over the world (they have taken place in America, Canada, Australia and New Zealand as well as Europe). There is a similar spin-off in the US called Death Over Dinner, started by Michael Hebb in 2012. Also in the US, Sarah Troop runs the blog Nourishing Death, about the relationship between death and food. But is it so weird that people want to sit and confront mortality with a cuppa and a bite to eat? It’s certainly nothing new. We humans used to dispose of the remains of our next of kin by practicing funerary cannibalism. This eventually became the Victorian custom of funeral biscuits and although that practice stopped after the war, we still have finger food or huge feasts when mourning someone’s passing, perhaps symbolically 'consuming them' as we did in the ancient past. "Enter, mortals of this sinful world, enter into the mists and shadows of eternity. Select your coffins, to the right, to the left; fit yourselves comfortably to them, and repose in the solemnity and tranquillity of death; and may God have mercy on your souls!" 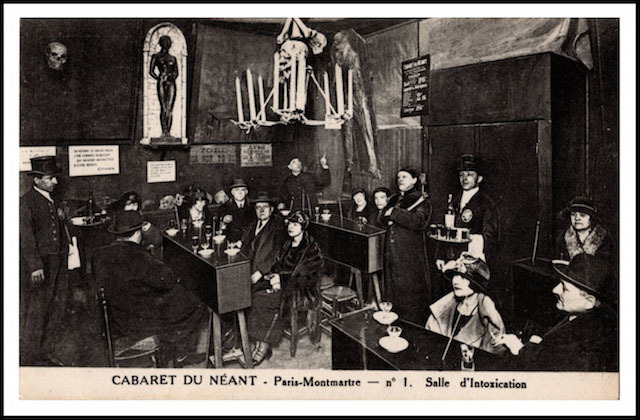 Paying very evident homage to the Parisian cabaret was Le Macabre Coffee House in 1960s Soho, London, which was described as having coffin tables — “Your coffee off a coffin!” (their words) — bakelite skull ashtrays, and a jukebox that played The Funeral March. It also had wall-mounted skulls which are very rarely encountered at antique fairs. Food sustains life. In that way perhaps it is an apt, complementary partner for death. 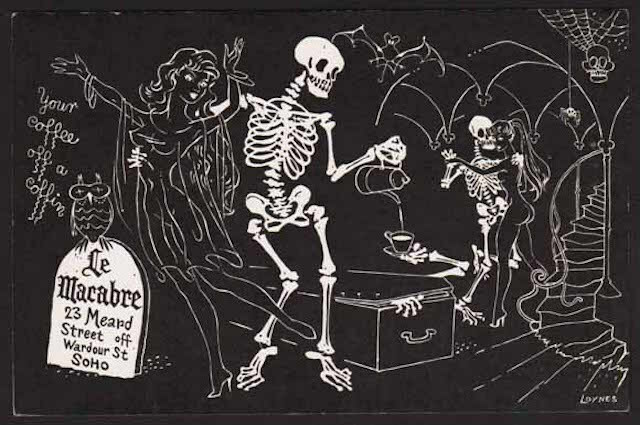 You can find out more about London's Death Cafes on the website.